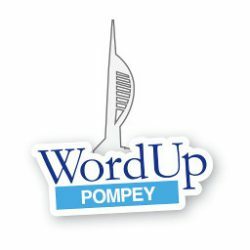 Introducing WordUp Pompey - WordUp Pompey! I’d like to let you know that I’ve started up a WordPress local user group for Portsmouth and the surrounding area. The first meetup was held on Thursday 20th October, from 7pm to 9pm, at the Dolphin Inn, Old Portsmouth. So chosen because that’s where WordCamp UK 2012 held its official social event on the 16th July. The idea is to build a WordPress community consisting of business owner who have WordPress websites and specialists who best know how to make the sites work for the business. The meetups are intended to be a mixture of networking, presentation and discussion. The information shared will be centred on WordPress but also include social media, marketing, eCommerce, printing, etc. For the business community the meetings need to be practical and geek-speak free. For example there could be talks on how to make the most of blogging, solving website problems, finding the best plugins. If you’re a web designer, web developer, site owner or otherwise involved with WordPress, WordPress Multisite or BuddyPress AND you live in or around Portsmouth, Hampshire, UK, then this site, the meetups and WPG 2012 is for you. Previous PostPrevious Is *) – the pompey logo? Next PostNext Is *) – the pompey logo?